I convinced my boss to let me come in late tomorrow, so if I can get myself out of bed tomorrow morning (no guarantees), I’ll be coming down to Pasteiners C&C in the morning. If anyone is coming, let me know, and I’ll look out for ya. 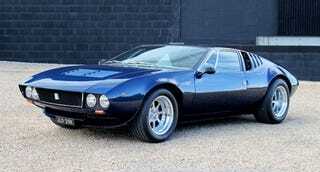 DeTomaso Mangusta for your time.